[ Wild.D metal. ] Longboard 2way necklace -Silver ver. 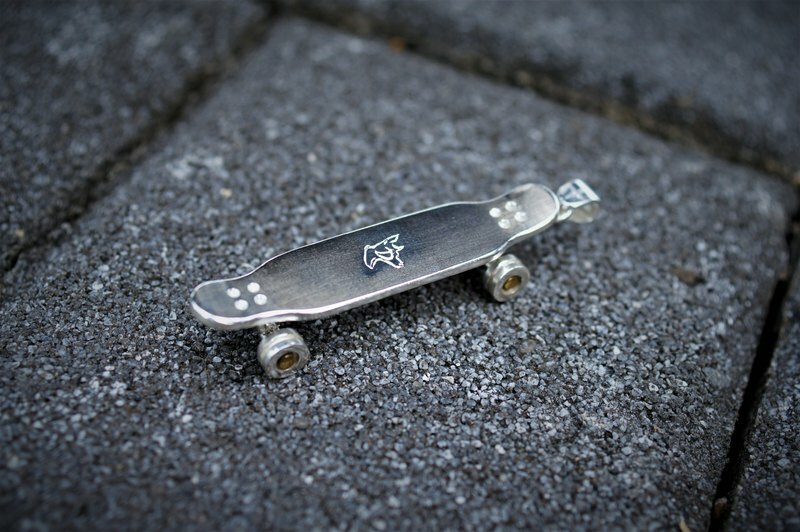 - with 20" brass chain - Design based on Soul- The dancing Goat longboard Get yours and have fun!